Charger II Tenders use tandem hydraulics to power the discharge system. The Parker hydraulic motors are connected to the augers with a coupler sprocket and chain assembly to absorb shock and reduce maintenance. Directional control valves for all the auger functions (Charger II-SF and FB only) feature adjustable pressure relief and are conveniently located at the rear of the tender. 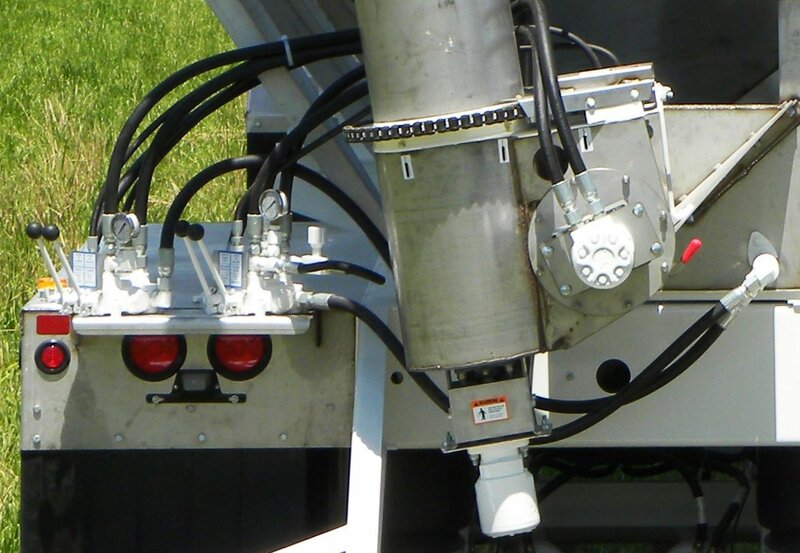 The truck mount units include a Commercial Intertech tandem, direct-mount pump. The large-capacity oil reservoir with sump strainers, filters and sight gauge keep the hydraulic system running clean and cool. 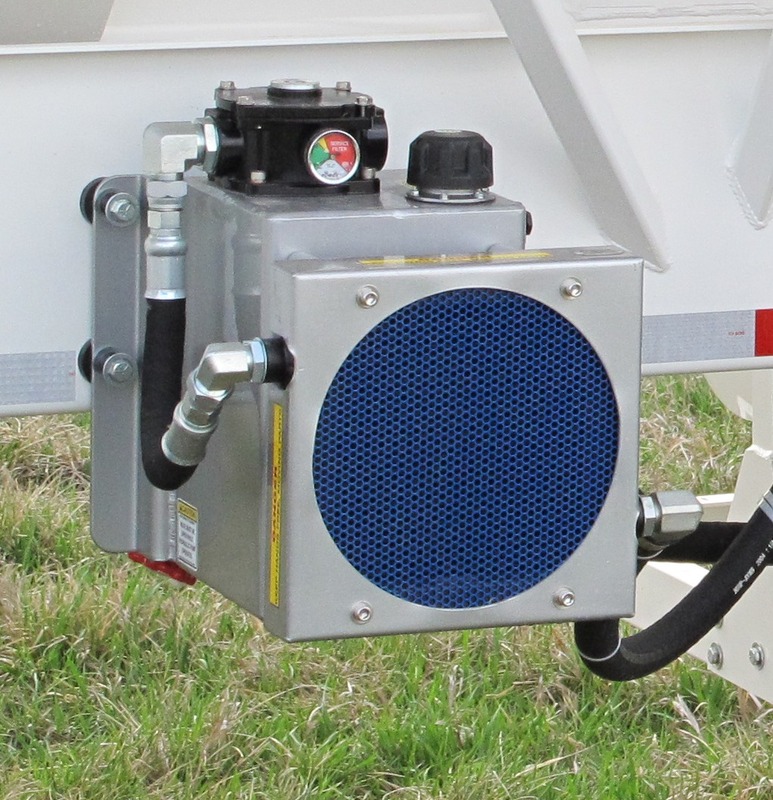 Hydra-Kool Jr. oil tank with a 4-gallon oil reservoir and a 12-volt DC cooler fan mounted to the truck frame. This high performance cooling system weighs only 85 pounds, saving you up to 435 pounds. Available on both truck and semi-trailers tenders. We recommend ISO46 non-detergent hydraulic oil.